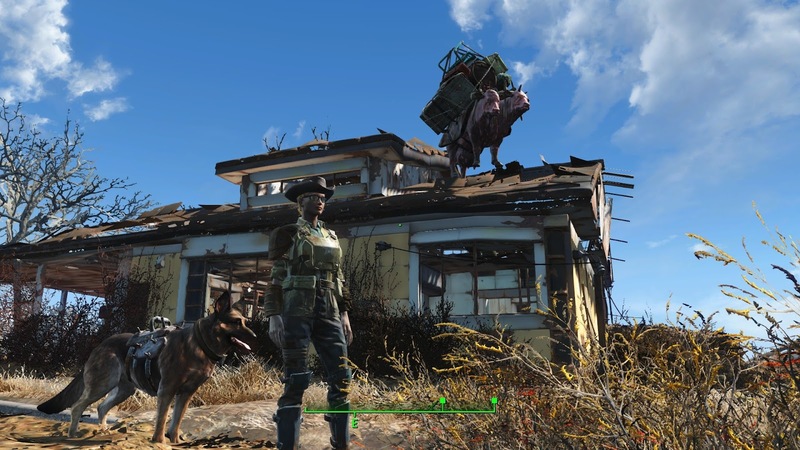 In Fallout 4, sometimes two headed cows from a caravan just find themselves on roofs after fast traveling. It must be because of how the game engine just drops things out of the sky. Not seen, crazy old lady in the attic because that's where her chair was built in the workshop interface.